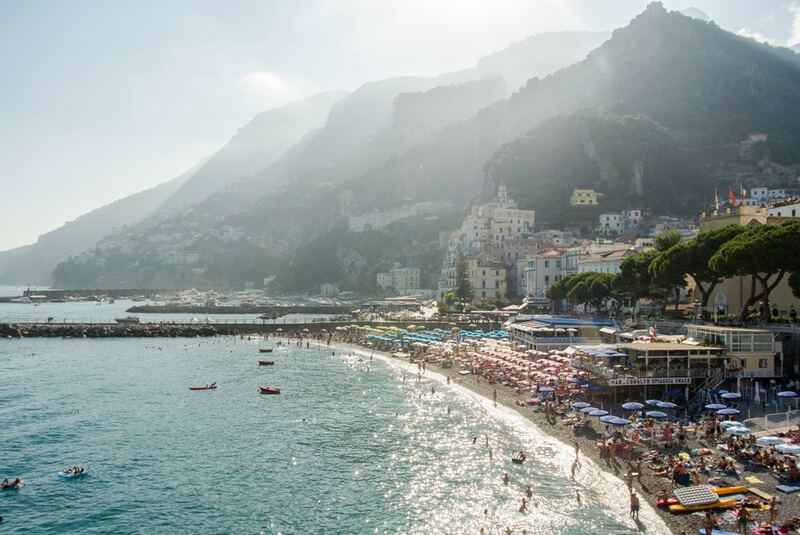 Visiting the Amalfi Coast in Italy feels like you’re stepping into the set of a movie. The ones with the big luxury boats, beaches with perfectly striped beach umbrellas, and streets lined with beautiful buildings, flowers and peoples washing. It’s stunning. But the Amalfi coast is not one place, but a stretch of coast made up of lots of different towns. So where to stay in Amalfi Coast to make the most of your trip? In our Amalfi Coast accommodation guide, you will find our guide to the Amalfi Coast towns, and the best hotels in Amalfi Coast grouped by location and price. The aim of this guide is to help you choose the best area of the Amalfi Coast to stay for you, find the best hotels in Amalfi Coast easily, and make planning your trip to the Amalfi Coast simple. Where To Stay Amalfi Coast? So what’s the best town to stay on the Amalfi Coast? 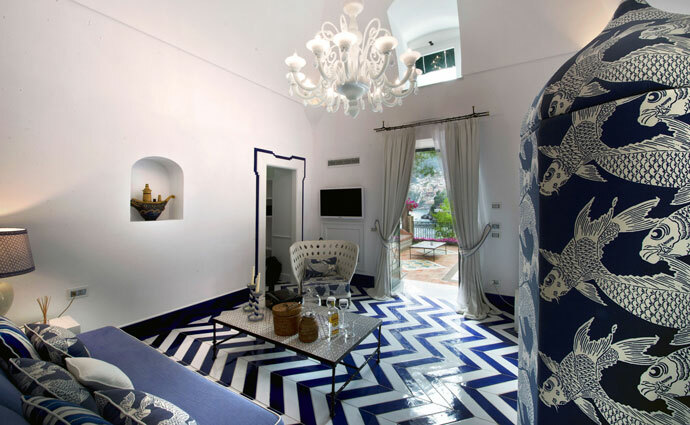 When planning a trip to the Amalfi Coast, a big decision is deciding where to stay on the Amalfi Coast. It first helps to get to know some of the different towns along the Amalfi Coast. Positano is probably the town most people picture when they think of the Amalfi Coast and one of the best places to stay in the Amalfi Coast. With beautiful flowers in every street, buildings stuck to the side of the cliff and stairs that will give you your daily workout in 5 minutes. It can be a bit more expensive to stay in Positano, but it has a beach, beauty, restaurants and some nightlife options. If you find stairs difficulty then I’d avoid staying in Positano, because here you can’t avoid stairs. BEST FOR // Picture perfect streets, beaches, restaurants, boutique shops, connections to other areas along the Amalfi Coast. THINGS TO NOTE // Most places that you want to get to in Positano will require many steep stairs. The accommodation can be ridiculously expensive and it’s best to book in advance. ACCOMMODATION // Luxury and mid-range accommodation options. See our Amalfi Coast accommodation guide below for our picks for the best hotels in Positano, Amalfi Coast. 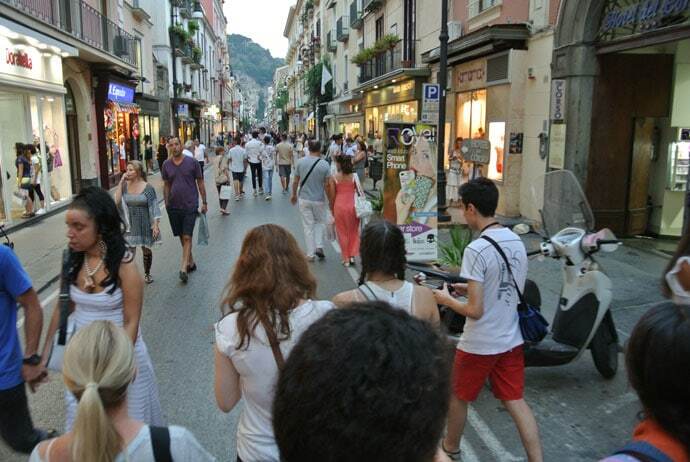 Amalfi is a central town with a beautiful town square and Duomo, restaurants, beach and a laid-back atmosphere. I think it’s one of the best locations on the Amalfi Coast. 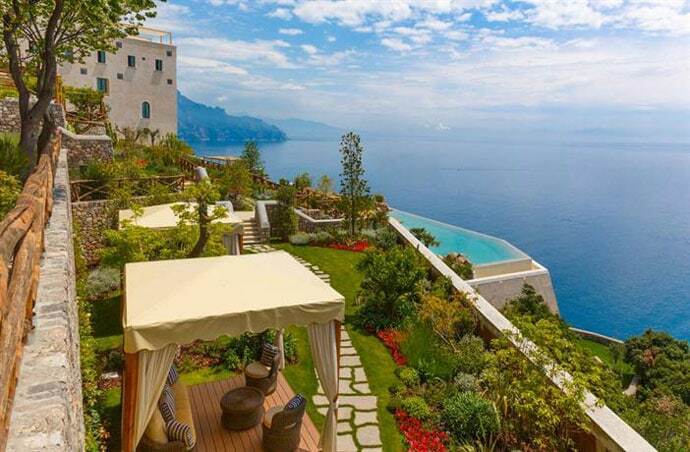 Its a great choice for where to stay in Amalfi Coast without a car, as it’s located in the middle of the coast. So from here, there are many Amalfi Coast towns to visit that can be easily reached by ferry or bus. BEST FOR // The best location on the Amalfi Coast if you want to visit other villages, easy access to the beach, restaurants, connections to other areas along the Amalfi Coast. THINGS TO NOTE // Amalfi is nice and flat, and although it doesn’t have the glitz of Positano it is full of charm. ACCOMMODATION // Luxury, mid-range and some budget accommodation options if you book in advance. See our Amalfi Coast accommodation guide below for our picks for the best hotels in Amalfi Town, Amalfi Coast. Just next door to Amalfi, Atrani is a smaller town with a beach, great central location, and perhaps more peaceful than Amalfi. From here you can walk to Amalfi Town. BEST FOR // Tranquil but still central, easy access to the beach. 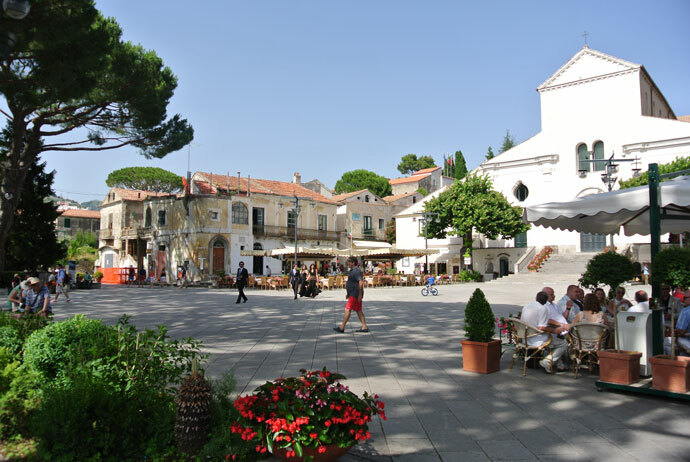 THINGS TO NOTE // Although it’s a smaller town, it is within walking distance to Amalfi Town. From Amalfi Town, you have many easy connections to other areas along the Amalfi Coast. ACCOMMODATION // Luxury, mid-range and some budget accommodation options if you book in advance. 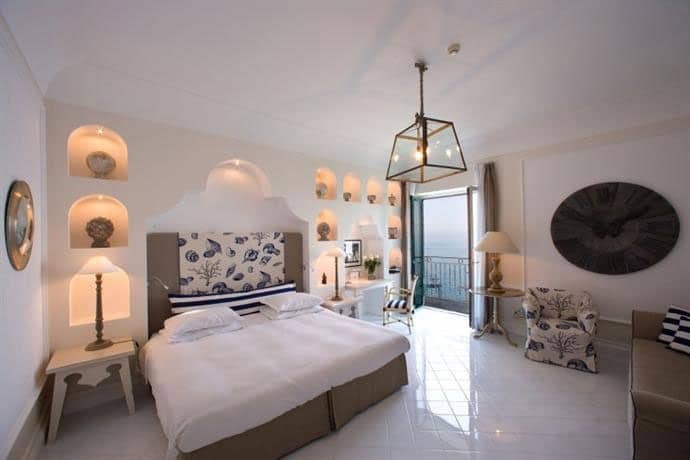 See our Amalfi Coast accommodation guide below for our picks for the best hotels in Atrani, Amalfi Coast. Ravello is set high above the ocean, so if you want to stay near a beach, it might not be for you. It’s a pretty town, with stunning views, that’s away from the huge crowds. It also has a classical and jazz music festival every year. BEST FOR // Amafli Coast views, beautiful town. THINGS TO NOTE // Although on the Amalfi Coast, there is no beach access in Ravello. The closest beach is in Amalfi Town, about a 25-minute bus ride down the hill. ACCOMMODATION // Luxury, mid-range and some budget accommodation options if you book in advance. See our Amalfi Coast accommodation guide below for our picks for the best hotels in Ravello, Amalfi Coast. In between Positano and Amalfi, Praiano is more remote and less crowded. You will find more secluded Amalfi Coast beaches and the town is a little spread out. It’s also home to Africana, a popular club on the Amalfi Coast. Staying in Praiano might be a little more difficult to get around than its neighbours, but it’s known to be quite a romantic spot. BEST FOR // Peacefulness, beaches. THINGS TO NOTE // Praiano is a great place to base yourself if you don’t plan on doing too much exploring of other Amalfi Coast towns. There will be fewer options for things to do and eat, but also fewer crowds. ACCOMMODATION // Luxury, mid-range and some budget accommodation options if you book in advance. See our Amalfi Coast accommodation guide below for our picks for the best hotels in Praiano, Amalfi Coast. 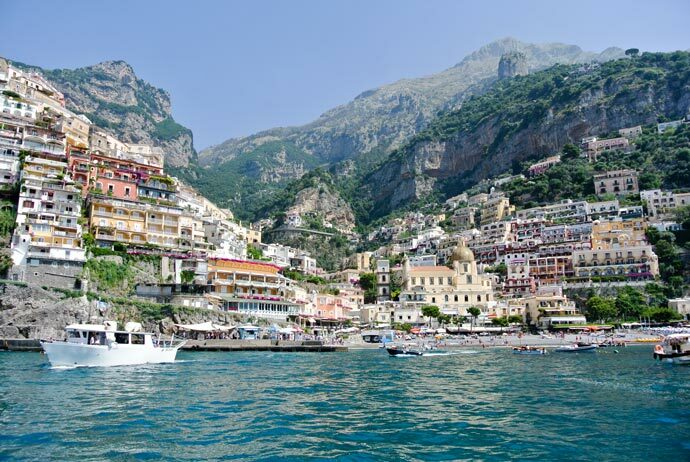 Although we didn’t get to see these towns, from what I have heard they are a great choice for where to stay on the Amalfi Coast for families. However, they aren’t as central if you’re wanting to explore other towns/islands. Minori, in particular, is known for its pasta. If coming from Rome and staying in Maiori and Minori, you can reach these villages easier by getting the train to the Province of Salerno rather than the Sorrento end. BEST FOR // Laid back feel with fewer crowds, family trips. THINGS TO NOTE // Lacking some of that Amalfi Coast glamour. ACCOMMODATION // Mid-range and some budget accommodation options if you book in advance. See our Amalfi Coast accommodation guide below for our picks for the best hotels in Maiori and Minori, Amalfi Coast. Although not technically part of the Amalfi Coast, Sorrento can still be a good base and destination in itself. It’s a larger town, set atop the cliffs, so beaches aren’t easily accessible. We found lots of accommodation options, shops and restaurants. Although there’s lots of transport from here, it’s not that central to the Amalfi coast, so if you want to spend most of your time on the Amalfi coast, you might prefer Positano or Amalfi. BEST FOR // Beautiful town, lots of things to do and places to eat. THINGS TO NOTE // Not technically part of the Amalfi Coast, so exploring the Amalfi Coast from here can take longer. ACCOMMODATION // Luxury, mid-range and some budget accommodation options if you book in advance. See our Amalfi Coast accommodation guide below for our picks for the best hotels in Sorrento, Amalfi Coast. If you plan to stay in one spot or see other towns. Only staying for a short time, but want to see a few towns? Our pick for where to stay to explore Amalfi Coast is Amalfi Town. If cost isn’t an issue and you dream of the picturesque Amalfi Coast, Positano would be a good option. Want to stay central but not right in a busy town? Try Atrani. If you want the beauty and the views, but don’t need the beach every day, try Ravello. If you want a base in a larger town and are happy to just visit one or two towns on the Amalfi Coast than Sorrento might be for you. Where to stay in the Amalfi Coast on a budget? That’s tough, but Amalfi Town, some of the smaller towns and Sorrento are possible. The most important thing to get more value for money is to book early. Also, consider looking at Airbnb in Amalfi Coast. For families, I’ve heard great things about Minori and Maiori. And for romance, it seems to be Praiano that comes out on top. We kept going back and forth before we finally decided on both Sorrento and Amalfi town. We stayed in Sorrento overnight as we were coming from Naples and Pompeii. Sorrento had a great atmosphere. The next day we got a ferry to Amalfi Town, which was very easy. 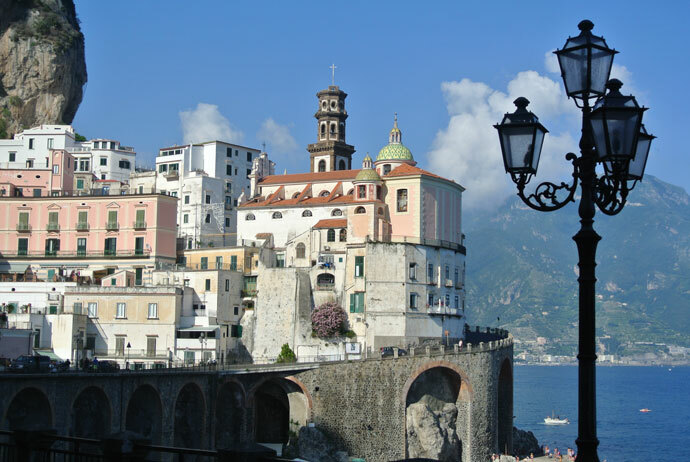 We chose Amalfi town as it was in a pretty central location, easy to walk around, had restaurants and beach, you could walk to Atrani, and get a short bus ride to Ravello. We took a short ferry ride to Positano for the day whilst we were there. At first, we really wanted to stay in Positano, but Positano was quite expensive for what you got. Admittedly, we left booking accommodation too late, so if you want to stay in Positano and get value for money, I’d book earlier rather than later. The same goes for most towns on the Amalfi Coast. A lot of people try to decide between Positano vs Amalfi Town. The best way I can describe the differences is Positano is quintessential Amalfi Coast. It has beaches, beautiful but very steep streets with lots of steps and lots of restaurants. Amalfi Town is a lot easier to get around and smaller. Amalfi Town also has beaches and restaurants and is quite central. We were so happy with our choices. Sorrento had a completely different vibe and we really needed to break up our trip after a big day in Naples and Pompeii. Amalfi town was so relaxing and beautiful, with a Duomo and town square and great location. Amalfi Town was the best place to stay on the Amalfi Coast for us on this trip. When booking accommodation in the Amalfi Coast, there are two main websites that I use. We found booking.com had a large range of options for where to stay Amalfi Coast, so you will be sure to find all of the best places to stay in Amalfi Coast Italy. We ended up booking our Amalfi Coast accommodation through Booking.com. We found some great places for excellent options for where to stay Amalfi Coast on Airbnb. We were going to book through Airbnb, but our dates weren’t available for the places we were interested in. Again, book early to find the best Airbnb on the Amalfi Coast and for more availability. Booking Accommodation on the Amalfi Coast is something that should be done in advance. We booked a few months in advance and a lot of places were booked out or had really high prices. When putting together this guide, we searched for accommodation that was about 8 months in advance, and although prices were cheaper and there was more availability, some hotels were still booked out. So the earlier you book, the more options you will have and you will get much better value. Please note: Prices below were based on early peak season, per night and we searched about 8 months in advance of peak season. 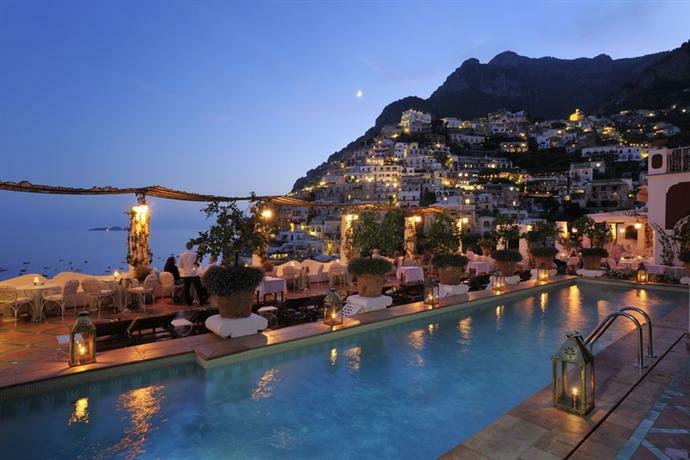 What’s your favourite place to stay on the Amalfi Coast? Hi, how does one get from Rome to the town of Amalfi?? Any suggestions appreciated, thanks! We went from Rome to Naples, then Pompeii then onto Sorrento. So we got a fast train to Naples which only took just over an hour and explored Naples. We then got a train to Pompeii (Circumvesuviana train) which took about 30 minutes, explored Pompeii then got back on the train to go to Sorrento which takes another 30 minutes. From Sorrento, you can explore here or get a bus or boat to Amalfi town. We got the boat from Sorrento to Amalfi town and it was great. You can skip Pompeii if you want to go straight from Naples to Sorrento. Another option is to take the train from Rome to Salerno (2 hours) and then get a boat or bus to Amalfi town. Have a great time in Amalfi, it’s stunning!! Another Amazing blog guys! You seem to go to all the places on my bucket list. I just got back from Bali and Singapore. Thanks to you, I knew what to do and where to go in Bali. My next trip is London THEN Amalfi Coast and Naples. So I love reading this, thanks for being awesome.